Championship banners in full color. Ideal for large scale displays in gyms, auditoriums, lobbies, convention centers and assembly rooms. Includes a full color imprint on heavyweight polyester with reinforced top pole pocket and brass top corner grommets (pole not included). No set-up charge. 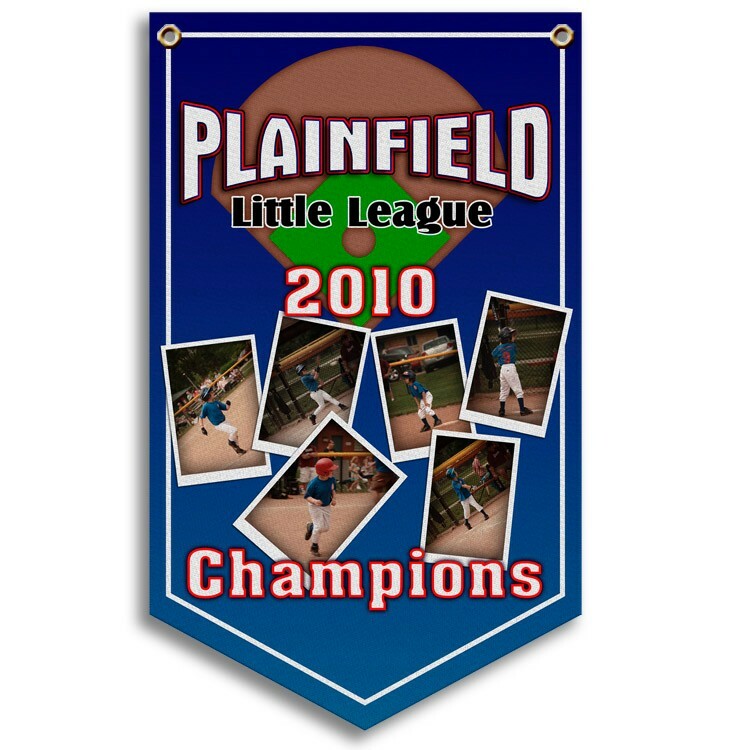 Perfect for school events, goal recognition, Team Pennant and Championship Award Display, Sales achievement, dealer or membership signage, souvenirs and fundraisers, advertising or special events. Price includes a 3' x 5' banner with full color imprint on heavyweight polyester with reinforced top pole pocket and brass grommets in top corners. Other sizes available, call for quote. No screen or setup charges!